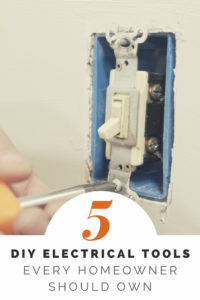 DIY home electrical work is one of those things many homeowners shy away from and it can be a little bit dangerous if you don’t have a little bit of knowledge, but I’m here to show you the 5 tools I think every homeowner should own that can tackle many common electrical issues around the home and save you from making expensive calls to an electrician. 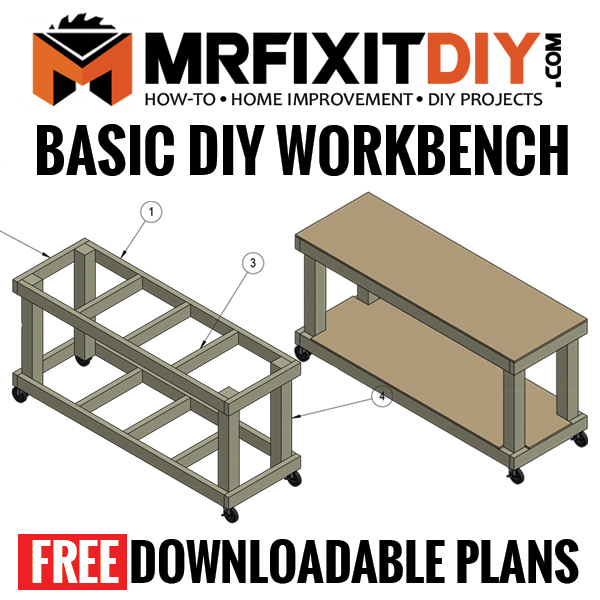 If you’re new to home electrical projects, don’t worry, I’ve got you covered with some basic tutorials here. 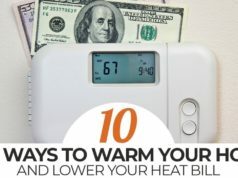 Before I get started I just want to say that any time you’re working on any electrical project in your home. make sure to turn the power off at the breaker to the area or room you’re working in to make sure that you are working safely and that you or someone else will not get hurt. So with that said, let’s dive into our list. 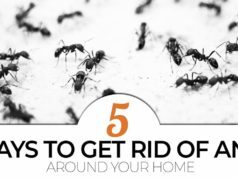 I’m sure most homeowners already have at least A screwdriver lying around the house, and if not, you should definitely get yourself a set. 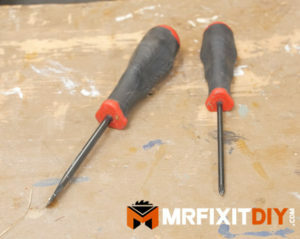 For electrical projects, you’ll need at least a screwdriver with an interchangeable tip, or both a Phillips head and flat head. Many old receptacles have strictly flat head screws; while newer fixtures typically have Phillips or a combination. Having both types on hand ensures that you’re prepared for any situation. I know they’re technically two tools but I hardly classify tape as a tool by itself so I figured I’d lump it together with another smaller tool. These two tools are a constant when working on any electrical project. 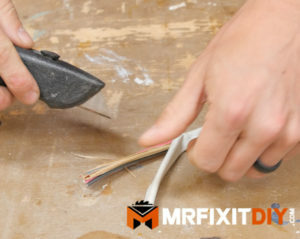 A razor blade is great for cutting the casing on modern Romex wiring and electrical tape is good for a few reasons. #1) I like to use it to wrap terminal heads to protect from a shock in the event someone tries to pull out a receptacle with the power on. #2) It can also be used to indicate a hot wire in an instance where the wire’s coloring may indicate otherwise. 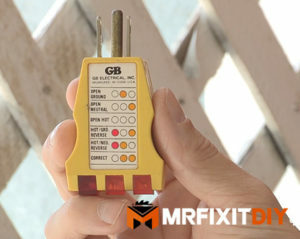 This plug in tool is an easy way to diagnose wiring mistakes when it comes to receptacles. The lights on the tool show you if an error is present and tell you what the problem is so you can fix it. It also tells you when a receptacle is wired correctly. 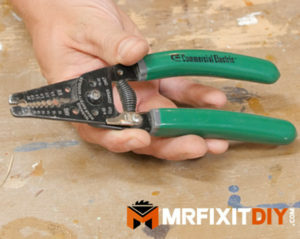 These are cheap and very handy tools to have on hand for any DIY wiring project. They have cutouts for the various gauge wiring you’re working with. Most residential wiring is either 12 gauge or 14 gauge wiring. I use a pair of these on ever single electrical project I tackle so they’re essential to have in your tool pouch. The #1 tool on my list is both a safety tool and a diagnostic tool and is the 1st tool I reach for in any electrical project and that is a Voltage detector. 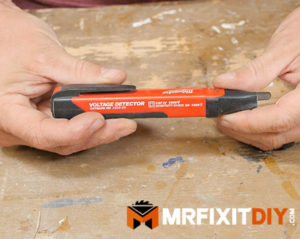 This little pen-like tool is a must have for any homeowner because it alerts you when any voltage is present. After I turn the power off at the breaker before I start a project, I always follow that up by verifying that the power is off with this tool. 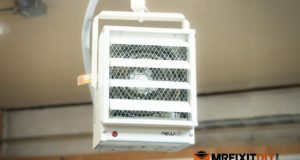 Any voltage that is present will make the tool light up and beep so you know if the power is in fact off. Also, this tool can be really helpful for diagnosing old or mislabeled wiring as you can move it around to find out which wire is hot and which is neutral. The power needs to be on at the breaker for this to work so if you’re troubleshooting wiring, be extra careful. 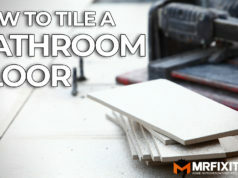 So that’s it for this Top 5 DIY list. 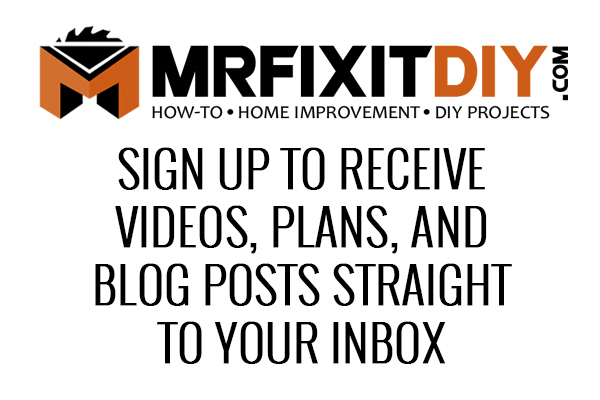 You can grab all these tools for less than $100 which is less than you’d pay an electrician to come out for a single visit and with them you can tackle a tremendous amount of household electrical issues.